Laura has spent nearly a decade researching the academic and behavioral effects of mindfulness practices on children in k-12 schools. She has a Ph.D. in Transpersonal Psychology from Sofia University and a Bachelor's Degree in Business from Boston College. Laura worked for 20 years in large, multinational companies, including GE where she brought a mindfulness program to her team with record results. She was trained as a Mindfulness Based Stress Reduction (MBSR) Teacher at the University of Massachusetts Center for Mindfulness in 2007 and co-developed the audio-guided Inner Explorer Programs. She has had a personal mindfulness practice for more than 24 years. Samantha is the co-founder of Leverage Advisors, a management consulting practice that provides strategic planning, acquisition integration, project management and change management consulting services to a variety of businesses (including public companies, private equity investments and non-profit entities). Prior to founding Leverage Advisors, Samantha held a variety of leadership positions during a 17-year career in General Electric’s healthcare and financial services businesses. She has achieved Six Sigma Black Belt and Quality Leader certifications and is a certified Change Acceleration Process facilitator. As Chairperson of Inner Explorer's Board of Directors, Sam ensures the organization consistently balances the passion to reach millions of children with daily mindfulness practices with sustainable operating procedures and practices to ensure the organization's long-term viability. 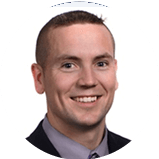 Mike is an assurance manager at AAFCPAs, a best-value CPA & business advisory firm located in Boston, Westborough & Wellesley, MA. Mike provides assurance & business advisory solutions to various types of nonprofit organizations, including: community health centers, community development corporations, early education and care (EEC) agencies, and multi-service human & social services organizations. He advises nonprofit clients on optimizing their financial strategies to ultimately direct more money back into fulfilling their missions. Mike will apply his depth of expertise in serving sophisticated, national nonprofits to provide Inner Explorer with strategic direction and advice on financial aspects of new and existing programs. He resides in Wrentham, MA with his wife Elizabeth, who is a 4th grade teacher, and their two daughters. Joe has served in several statewide committees and has held offices in the Ohio Schools-Speech-Language Pathology Audiology Coalition and the Ohio Speech and Hearing Association. Joe provides professional development for topics as diverse as children’s communication, understanding student behavior, and team communication skill building. He has presented to speech-language pathologists, school psychologists, occupational and physical therapists, paraprofessionals, and school administrators. Kristie, a Partner with Samet & Company PC in Chestnut Hill, MA, is an accounting and tax professional who focuses on year round support and communication with privately held companies and individuals. Her forward-looking approach provides clients with timely counsel, perspective, and professional opinions to help them reach their financial and/or business goals. In her role on the board, she provides accounting services and guidance on financial matters. Kristie's financial and business advice is invaluable to Inner Explorer during this period of explosive growth. Todd is the President of Institutional Distribution at John Hancock Investments. ]Todd has earned a D.M. ABD from the University of Phoenix, a MBA from Sacred Heart University, and has completed the Harvard Business School Executive Education’s Authentic Leadership Development Program. He provides Inner Explorer with professional expertise for operational and strategic functions as well as sales and relationship management. Sherita T. Ceasar is Senior Vice President of Technology Environments and Strategy Comcast Cable. Sherita leads strategy, design, build, and support of Comcast engineering laboratory operations and strategic planning supporting technology/product roadmaps for 1600+ technical facilities within Comcast’s Next Generation Access Network organization. She has 35+ years in the telecommunications industry shaping and delivering innovative technologies, including the first Comcast Universal Caller ID cross platform application and both remote and Cloud DVR, among others. During her career, she has served on national board of WICT and was past National President of the Society of Women Engineers. Miles Wilson serves as President and CEO of EducationWorks. Immediately preceding his post at EducationWorks, Miles served as the Director of Talent & Collaboration and convener of the Great Schools Compact for the Philadelphia School Partnership. He managed the facilitation and advancement of the Great Schools Compact, which was created through a joint commitment of Philadelphia’s education leaders and school providers. Prior to PSP, Miles served as Regional Director for the Mid-Atlantic for the Nonprofit Finance Fund (NFF). Miles also served as Executive Vice President of People’s Emergency Center and Regional Vice President at Community Education Partners. Miles is a proud graduate of Lincoln University and awarded a Master in Education Leadership from Arcadia University. His experience as both and entrepreneur and the CEO of a 30-year old successful non-profit in education provides a forward looking view on Inner Explorer's growth trajectory as they move beyond the 5 year mark. Paul Sugar is the founder and Director of the Scottsdale Institute for Health and Medicine Center for Mindfulness. Paul completed the advanced MBSR teacher training in 1994 at the Center for Mindfulness pioneered by Jon Kabat-Zinn at the University of Massachusetts Medical School and is a Certified MBSR instructor through the Mindfulness Based Professional Training Institute at the University of California San Diego. In addition, he is a Mentor for the MBSR certification candidates there. He has taught over 100- 8 week Mindfulness Based Stress Reduction(MBSR) and Mindfulness Based Cognitive Therapy (MBCT) programs and has delivered hundreds of mindfulness based workshops and retreats for over 25 years. Paul also teaches Mindfulness Based Relapse Prevention for Addictive Behaviors(MBRP). He has taught mindfulness in the health care, business, schools, sports and private sectors. Paul has been practicing and teaching meditation, yoga and tai chi for over 45 years. Paul’s MBSR classes offer Social Workers, Psychologists, Marriage and Family Therapists, Licensed Professional Counselors, nursing, acupuncture and massage and bodyworker CE. In 1998 Paul created the Attention Academy school program which became a seminal study for the development of mindfulness in the schools. He has also spearheaded a number of mindfulness based research studies in the healthcare field. In his role as a business entrepreneur he is a health care management professional, has founded and operated a number of highly successful service related businesses in the healthcare field and serves on the Board of Directors of three mindfulness based non profit organizations. Beyond combining management, financial, and marketing skills to maximize the growth of these organizations, Paul has applied the principles of Mindfulness-Based Stress Reduction (MBSR) and Peak Performance to create a uniquely effective business model. Inner Explorer is a non-profit organization covered under Section 501(c)3 of the United States Internal Revenue Code. © Inner Explorer, Inc. All Rights Reserved.